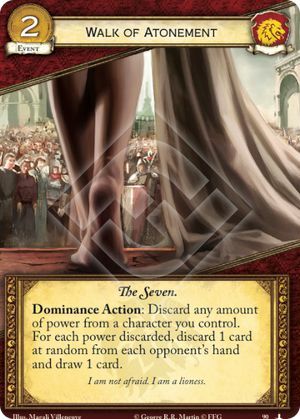 Dominance Action: Discard any amount of power from a character you control. For each power discarded, discard 1 card at random from each opponent's hand and draw 1 card. I am not afraid. I am a lioness.